Pecans are prized in the South, and if you have one of these trees in your yard, you likely enjoy the shade of this regal giant. You may also enjoy harvesting and eating the nuts, but if your trees are hit with pecan shuck decline and dieback, a mysterious disease, you could lose your harvest. If your pecan tree has shuck decline or dieback you’ll see the impact on the shucks of the nuts. They start to turn black at the end and, eventually, the entire shucks may blacken. The shucks will open as normal, but early and there will either be no nuts inside or the nuts will be of lower quality. 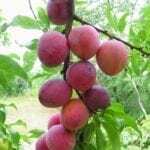 Sometimes, the entire fruit falls off the tree, but in some cases they remain on the branch. You may see white fungus on the outside of the effected shucks, but this is not the cause of the decline. It is only a secondary infection, a fungus taking advantage of the weakened tree and its fruits. The ‘Success’ cultivar of pecan trees, and its hybrids, are the most susceptible to this disease. Shuck dieback of pecan trees is a mysterious disease because the cause has not actually been found. Unfortunately, there is also no effective treatment or cultural practices that can manage or prevent the disease. There is some evidence that pecan shuck decline disease is caused by hormones or some other physiological factors. It does seem to be that trees that are stressed are more likely to show signs of the shuck decline. 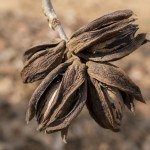 While there are no treatments or accepted cultural practices for managing this disease, anything you can do to keep your pecan trees happy and healthy may help prevent shuck decline. 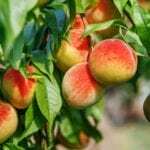 Make sure your trees get enough water but are not in standing water, that the soil is rich enough or that you fertilize them, if necessary, and that you prune the tree to maintain good airflow and to avoid an overload of nuts.